Mirrors of Heaven or Worldly Theaters? 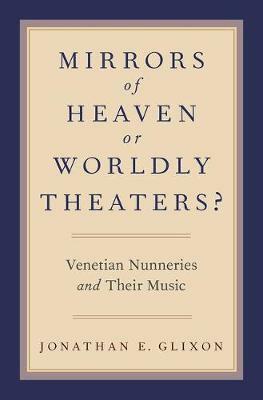 Venetian Nunneries and Their Music explores the dynamic role of music performance and patronage in the convents of Venice and its lagoon from the sixteenth century to the fall of Venice around 1800. Examining sacred music performed by the nuns themselves and by professional musicians they employed, author Jonathan E. Glixon considers the nuns as collective patrons, of both musical performances by professionals in their external churches-primarily for the annual feast of the patron saint, a notable attraction for both Venetians and foreign visitors-and of musical instruments, namely organs and bells. The book explores the rituals and accompanying music for the transitions in a nun's life, most importantly the ceremonies through which she moved from the outside world to the cloister, as well as liturgical music within the cloister, performed by the nuns themselves, from chant to simple polyphony, and the rare occasions where more elaborate music can be documented. Also considered are the teaching of music to both nuns and girls resident in convents as boarding students, and entertainment-musical and theatrical-by and for the nuns. Mirrors of Heaven, the first large-scale study of its kind, contains richly detailed appendices featuring a calendar of musical events at Venetian nunneries, details on nunnery organs, lists of teachers, and inventories of musical and ceremonial books, both manuscript and printed. A companion website supplements the book's musical examples with editions of complete musical works, which are brought to life with accompanying audio files.